Roger Federer winning in Basel is nothing new, but it's always spectacular to watch someone reach 99 titles. But the Swiss' spot is already locked up, which cannot be said for the four men trying to join him in London. After a dramatic week saw a home-hero continue to rewrite the record books and another London spot get claimed, there is only one event left for the majority of the men on the ATP World Tour in 2018. Only one big tournament stands between the big guns and the tour finals, although the participants are still yet to be determined. 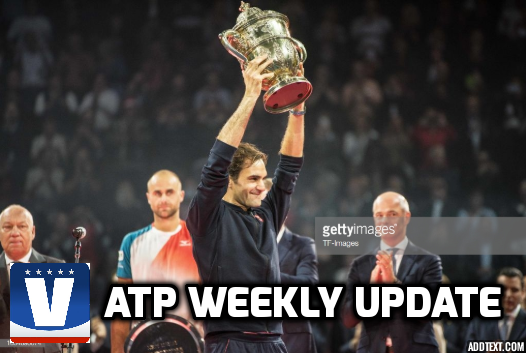 Here is your ATP Weekly Update for week 43 of the 2018 season. There’s no place like home for Roger Federer. After some early jitters, the Basel-native hit his stride to win his ninth title at the Swiss Indoors. 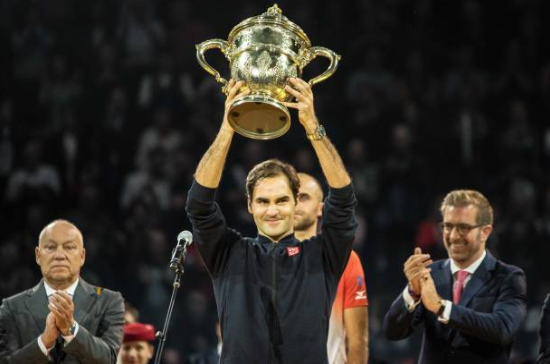 It took a couple of matches for him settle in but by the time the weekend rolled around, Federer was locked in, taking down surprise finalist Marius Copil to win the 99th title of his illustrious career. Federer needed three sets in two of his first three matches but made a statement by dismantling up-and-comer Daniil Medvedev in the semis to reach his 14th final in his hometown. There, he held off an inspired effort by Copil to claim yet another crown in his hometown. Despite walking into Federer’s hometown, it was Copil who stole the show. After reaching the main draw as a qualifier, the Romanian made headlines by stunning third seed Marin Cilic in the second round for a first top-ten win. He kept his hot run going by winning a high-quality semifinal clash against Alexander Zverev for a second top-ten win to reach his second career final, also second of 2018. With time ticking down towards the ATP Finals, Kevin Anderson battled through a draw full of London contenders at the Erste Bank Open to claim the title and a maiden spot at the tour finals. It wasn’t easy for the South African, who had to battle on multiple occasions, but in the end, he came up big when it mattered, taking down London-hopeful Kei Nishikori in the final. Anderson’s run was close to stalling in the opening round when he dropped the opening set and found himself in a second set tiebreak against Nikoloz Basilashvili, but he managed to escape with a three-set win. After back-to-back matches were ceded to him by injured opponents, Anderson took out Fernando Verdasco in a wild three-setter to reach the final, where he took down Nishikori in straight sets for a fifth career title and place in London. Nishikori’s late charge for London got another boost thanks to his run in Vienna. After also escaping a tight first-round match, he scored a big win over last week’s Moscow champion Karen Khachanov to set up a massive clash with fellow London hopeful and hometown favourite Dominic Thiem in the quarterfinals. Nishikori would win in straight sets, allowing him to make up significant ground on Thiem in the race, even though he would go on to lose in the final. The surprise Basel finalist started the week just inside the top 100. After reaching his first 500-level final, he soared 33 spots to a new career-best of number 60. Vienna semifinalist Mikhail Kukushkin climbed a massive 17 spots up to number 54. American young gun Taylor Fritz, who fell to Copil in the Basel quarters, moved up eight spots into the top 50 for the first time at number 49. Despite his brutal loss to Federer in the Basel semis, Daniil Medvedev was able to climb three spots to a new career-high of number 17, one ahead of countryman Karen Khachanov who moved up one spot to a new best of number 18. 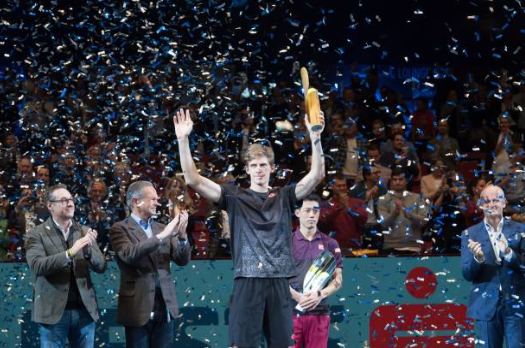 Thanks to his title in Vienna, Kevin Anderson became the sixth person to qualify for the ATP Finals. It will be the South African’s debut at the year-end championship. Anderson jumped over Marin Cilic in the rankings when he took over the sixth spot. Early losses for Cilic and Dominic Thiem last week cost them both an opportunity to tighten their grips on their London spots. Nishikori’s finals run in Vienna allowed him to close in on a qualifying spot, jumping over John Isner for ninth in the process. The final event of the ATP regular season takes place this week, with most of the men playing their final matches of the year. The ATP World Tour returns to Paris for the final Masters 1000 event of the season, the BNP Paribas Masters. A full field descends on Paris, led by the Big Three as well as defending champion Jack Sock, who desperately needs a title defense to avoid a massive rankings collapse. As well, four men enter Paris looking to extend their seasons by qualifying for London. 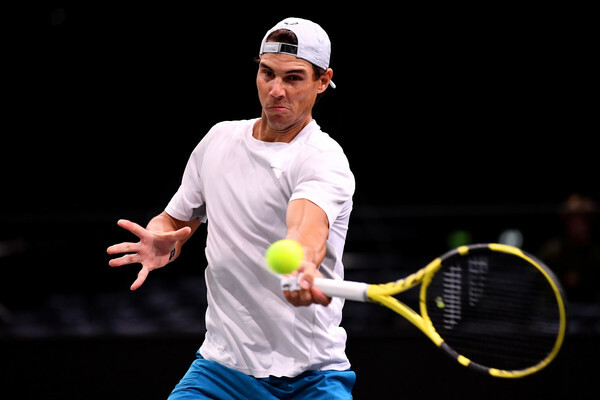 World number one Rafael Nadal is back and will be contesting his first event since retiring in the US Open semifinals. The Spaniard returns to a different tour where his dominance is now under threat from Novak Djokovic, who has won four of the last five big events. The Serbian, seeded second, has won his last three events in a row and is playing his first tournament since winning Shanghai. While the year-end number one ranking will be decided in London, the top spot could change hands this week if Djokovic outperforms Nadal. Almost more important than the battle for number one and the title, one of the big storylines at the Paris Masters is the final qualifying spots for the ATP Finals will be decided. 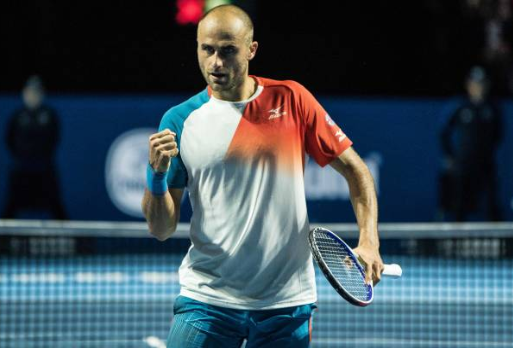 There are two spots available in London with four men, including two Grand Slam runners-up and a Masters 1000 champion, looking to claim one of the final two spots.